Recently, I embraced the frugality of a TV antenna, and ended my cable services with Comcast. This has resulted in my exposure to some remarkable classic television programming on the MeTV network. This morning, I had the pleasure of watching an episode of the classic TV series Thriller, entitled "The Guilty Men." It was a fantastic, thought-provoking episode, centered around the story of three brothers who grew up in the slums of Lower East Side Manhattan in the early 20th century. One of the brothers gained the profits of crime and corruption, and helped finance the education of his brothers in law and medicine, and their subsequent wealth and success was thus indebted to him. Flash forward many years and the three brothers were entangled in the drama of a large criminal organization, of which the leader was stricken with a guilty conscience and intended to "improve the slums" of his childhood by demolishing tenements and building a playground. This was when my interest peaked. Thriller was written in the early 1960s, at the height of the urban renewal era. It was the same era that saw Jane Jacobs write The Life and Death of Great American Cities, her searing response to proposed urban demolition in Greenwich Village. It is now something like the preservationist's Bible. It was also the era in which Pittsburgh lost its "slums," the Lower Hill District, to demolition and redevelopment. 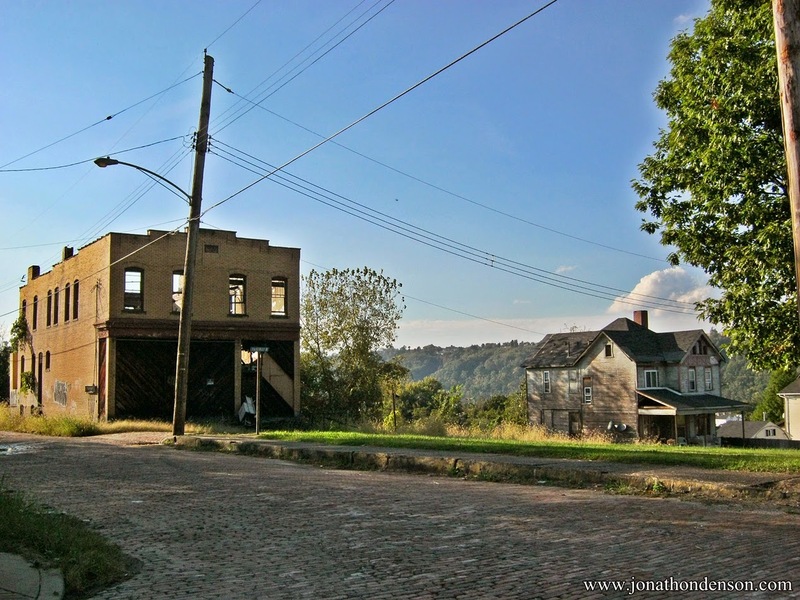 Pittsburgh was certainly not alone, and the Lower Hill was not the only section of the city that was deemed blighted and subsequently cleared. Locally, other large cities such as Erie, Washington (PA), New Castle, McKeesport, Altoona, and even smaller boroughs like Turtle Creek, Wilmerding, and McKees Rocks, eventually embarked on urban renewal disasters of their own. Not one of these places has fared exceptionally well since. So what made this episode of Thriller so interesting to a preservationist, then? It was the perspective on the matter, as seen from the era when the iron was still hot. As one of the brothers is patting himself on the back for doing something good for the community (the clearance of a slum district for a playground), he is reminded that the drug trade that the organization is involved in will only ensure that the slums shift somewhere else. Yes, the slums will shift somewhere else. This is foreshadowing from a 1960s dramatic thriller. As we all know now, more than fifty years later, that is exactly what happened. The decayed, poor neighborhoods can be removed, but poverty and the conditions that create decay cannot be removed without addressing the underlying causes. As a preservationist, my concern is always the loss of history and architecture that is always assured with demolition in older neighborhoods. However, I also have a degree in Social Work, and the social issues perspective on demolition and preservation in our towns is also a fascinating one. The movement of the poor, which is the direct result of demolition in poor neighborhoods, is a top-down approach to social problems. The result is guaranteed not to resolve the issues that created the visible abandonment and decay that city leaders try to address through demolition. What can be gained from this is perhaps an understanding that demolition of our urban areas is not the answer to urban ills. This is a lesson that we did not learn the first time, and we cannot afford to learn again. By that point, there will be nothing left of urban America, aside from a few overpriced East Coast cities. Demolition continues unabated in Pittsburgh, Buffalo, Detroit, Toledo, and a host of other rust-belt cities, destroying vital and irreplaceable urban fabric as we speak. American history is at risk, and yet we hear the same out-dated proposals from our city leaders in which "blight" and "eyesores" are always the target. My question is: when will the Demolition Era end? Old theories must be put to rest. I wish the old neighborhood in Pittsburgh my Great Grandparents and Grandparents lived in were there! My Grandfather did very well but his house are apartments.But nothing lasts forever.It is a fight to preserve anything.